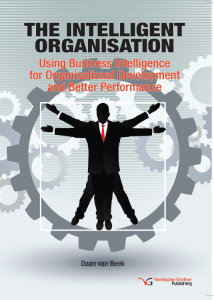 Daan van Beek’s blog about Intelligent Organizations. This is Daan van Beek’s blog about designing and implementing Intelligent organizations. Within this area of expertise, Daan often writes about the following subjects: BI, feedback, news, performance management, and research. Of course you can order Daan’s book about intelligent organizations here too. We love to help you getting started with daan van beek’s blog.